I’ve been an expert on senior dating for over a decade now, so it’s always exciting to see how online dating sites are coming up with more and more awesome features to improve the dating experience. 2016 has just started and I’ve already spotted a few new trends match.com has to offer for senior online daters that are positive and worth mentioning. 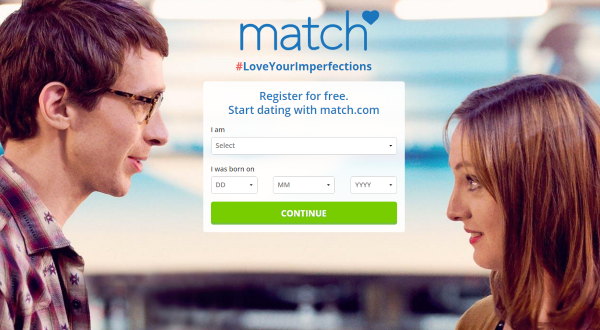 What’s it do: This new feature by match.com allows online daters to chat online instantly. All one has to do to get online to chat is click on the tab. Pros: Easier than emailing and waiting for a response. Cons: Requires a somewhat thicker skin since the communication is immediate and in person. My expert opinion: The bromide, no risk no reward fits the use of this option but I always suggest my date coaching clients remain fearless and steadfast, so I recommend using this feature. What’s it do: Another new, long overdue feature is what match.com terms matchPhone, which is a communication system that allows two people to text or talk with each other while keeping both phone numbers private. Pros: Perfect for the online dating world in which many daters fear scammers or stalkers. Cons: Not that I can tell. My expert opinion: This privacy feature is The anonymity this feature allows will change the way seniors date online because it removes much of the fear from talking on the phone or texting and being concerned about the possible fallout. What’s it do: Verification is another feature Match offers that can connect to every dater’s social media page. Pros: Easy solution to ensure you’re chatting with a real person. Cons: Not everyone want to connect their online dating profile to their social media page. My expert opinion: It’s simply one more way to vet a potential date, and while people could create fake social media pages, it’s a lot of work to create and maintain a false page without anyone noticing and reporting it. There are a few spots senior online dating sites might want to consider changing. For instance, I feel strongly that online dating sites should refuse to post any man or woman’s profile if they don’t write at least a paragraph about who they are and something about the man or woman they’re hoping to meet. It’s mostly men who fail to write anything meaningful about themselves, which puts women at a distinct disadvantage in terms of not being able to draw any conclusions about if a guy might be a good fit. Hey guys, you’re not helping yourselves by making women guess about you, and you’ll likely waste lots of time going on dates that you wouldn’t have made if you’d been more upfront about yourself. Both men and women forget or ignore the boxes to fill in that further explain who they are and what information a potential date might use to further determine a good fit. With the exception of income, which I feel should be kept private until two people feel comfortable sharing it the remainder of the boxes should be filled out. For instance, the last book someone read says a lot about a person. There you have it. A few great features from Match which I find can go a long way for any senior online dater looking for love and companionship, to ensure you have a secure, fun time online in 2016.